Andy, a quiet young bank vice-president gets two life terms for killing his wife and her lover. Only, Andy (Tim Robbins) is innocent. 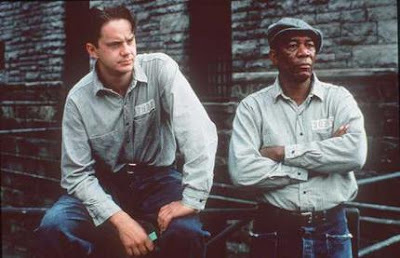 The Shawshank Redemption is a celebration of the human spirit, and for those who have not yet seen it, grab a DVD of this gem, and enjoy the experience of one of the best movies made, ever. No kidding.